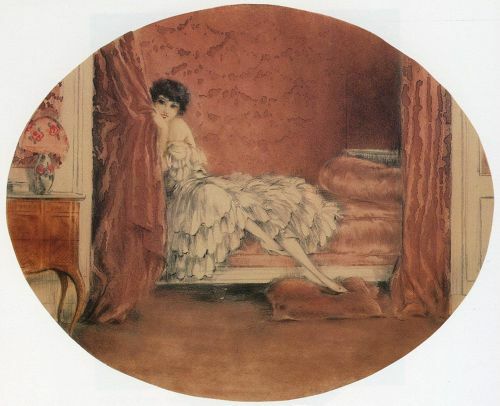 Louis Icart,　Le Divan Rose, 1929. Is this ghost an angel or a madman? Think, before these demands are rejected! I must see these demands are rejected! if his threats and demands are rejected! 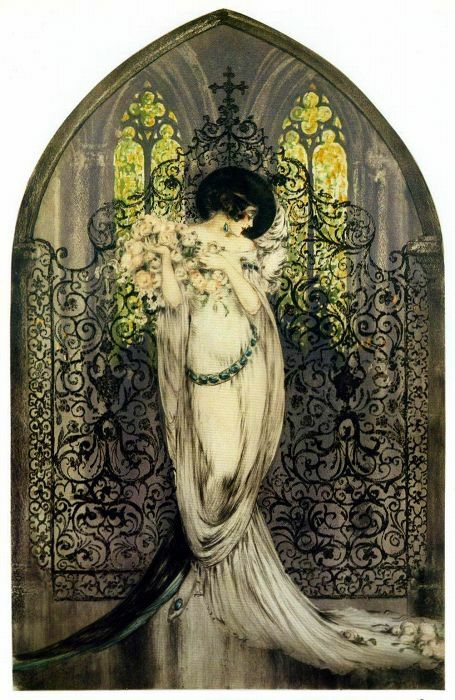 chorus girl, who's gone and slept with the patron? Raoul and the soubrette, entwined in love's duet!